Scan has teamed up with their partners iiyama to gift two of their fans with brand new gaming monitors! 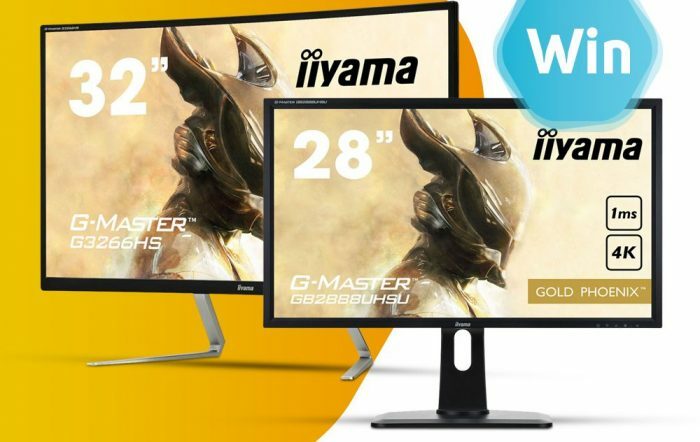 To enter in this iiyama GB2888UHSU-B1 4K Freesync Monitor Giveaway grab your free entries by following few simple steps listed down below! The 28″ G-MASTER GB2888UHSU known as Gold Phoenix, features 4K (3840 x 2160) resolution, offering a gigantic viewable area with 4 times more information and workspace than a Full HD screen. Due to the high DPI (dots per inch) the monitor displays an incredibly sharp and crisp image. Featuring 1ms response time and FreeSync technology, it ends choppy gameplay ensuring fluid and accurate transition between images. With the Black Tuner functionality the brightness and the dark shades can be adjusted, giving greater viewing performance in shadowed areas. USB 3.0 HUB, integrated speakers and a headphone socket ensure compatibility with any Desktop PC or Notebook. The GB2888UHSU is perfect for gamers and demanding users who settle only for the best specifications.